PeR (Please Explain The Rhythm) is a Latvian beatbox and vocals band formed by two singers and beatboxers from Latvia (Edmunds and Ralph). Starting form the year 2007 PeR have performed in all of the biggest Latvian TV shows. 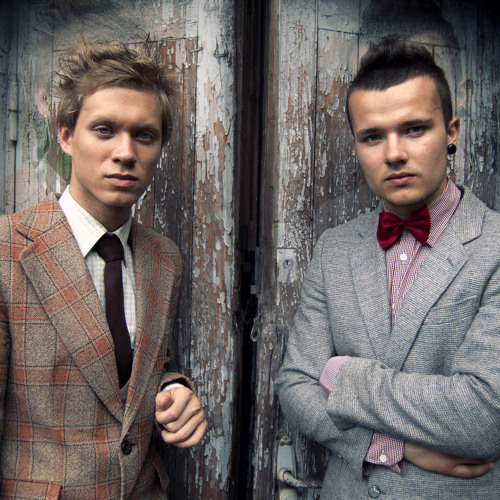 These two musicians have already participated in the Eurovision Latvian finals 2009, 2010, 2012. Both of the biggest Latvian festivals “Baltic Beach Party” and “POSITIVUS” have shared their stages with PeR in 2009. In the summer of 2010 beatbox band PeR was one of the many contestants in festival “New Wave”, but before „New Wave“ they visited Estonia to perform in festival „Reiu Rock“. For the second year in a row PeR have been the guests in the biggest Russian TV Christmas show „Рождественская песенка года“. PeR have been the warm-up guys before Dub FX in three of his concerts. The feedback from PeR’s performance before Dub FX in Lithuania (18.11.2011.) was amazing. Music critics, bloggers and fans were surprised by PeR’s ability to electrify the entire crowd with their songs and pure energy that never stops! The year 2011 was successful for PeR not only in Luthuania. PeR’s single „Go Get Up“ peaked no. 2 at Denmarks „Chart Base“ TOP 100 and PeR also were nominated in this independent music chart as „Best New Artists“ and the video of „Go Get Up“ was nominated in the category of „Best European Alternative Video“. PeR won in both nominations. Similar achievements PeR had in Mexico – when they were nominated in the independent music site „Ev.gerard Music“ as the „Best New Artists“ and once again „Go Get Up“ music video in the category „Best European Alternative Video“. In 2013 at the Eurovision Song Contest Latvian final PeR song "Here We Go" had received the most votes and won the contest, and thus will represent Latvia at the Eurovision Song Contest 2013 in Malmö, Sweden.